Can you guess the meaning of the idiom 'keep your head above water' by looking at the picture? Keep your head above water: 1) to have just enough to live or survive (especially having enough money); 2) to manage to do all of your work. This phrase literally means a person who is in water (e.g., a pool, lake, ocean) is able to not drown by swimming, floating or holding onto something. The idiom is a figurative meaning of being able to survive or manage to do one's work. 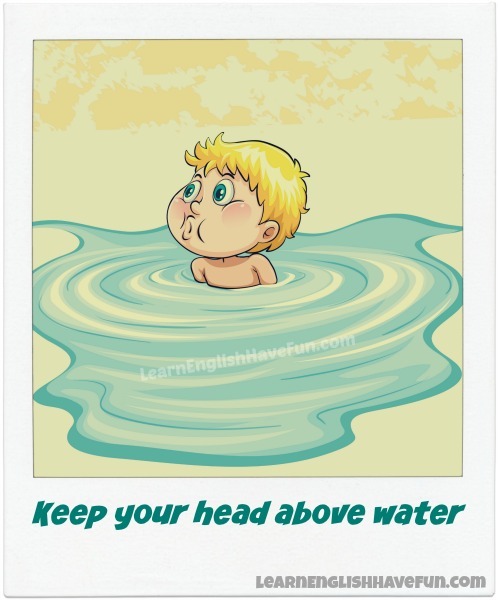 The idiom can be used for any "person": Keep my / your / his / her / our / their/ _____'s head above water. She keeping her head above water right now but if she doesn't find another job soon she'll have to move back home to her parents' house. I've been keeping my head above water for three months working part-time but my holiday job will be ending soon and I'm not sure what I will do. Financial experts recommend you put at least six months' of your income into a savings account to help you keep your head above water if you suddenly lose your job. Our family business is only keeping its head above water because we're renting out some of our office space to another company. I can barely keep my head above water at work and my boss still hasn't hired anyone to replace three people who left our department. If things don't change soon I'll quit. The only reason I'm keeping my head above water is that I'm charging everything to my credit cards. It's really hard to keep my head above water when I'm working full-time and going to school full-time—there's just too much work. My new secretary is a lovely young woman but she can barely keep her head above water now—I don't think she'll be able to get the work done during the peak season. I had an unpaid internship this summer so I had to work as an exotic dancer on the weekends just to keep my head above water. With all of these new orders we're all going to have to work overtime this week to keep our heads above water. Now that I'm working in the office I'm just keeping my head above water with all of the housework, cleaning and shopping. On the other hand, the extra income from my job is more than enough for us to keep our heads above water. I hope this idiom was helpful. 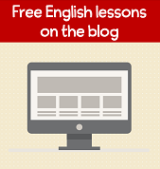 Please sign-up for my free newsletter to learn when I add new idioms and other updates to my website. Practicing your English by writing sample sentences will help you remember this idiom more easily in the future. Are you struggling to keep your head above water now? Did you struggle in the past? Feel free to answer these questions or simply write an example sentence below in the comments.